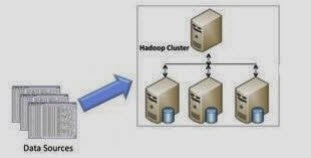 Hadoop is a open source framework which is written in java by apche software foundation. This framework is used to wirite software application which requires to process vast amount of data (It could handle multi tera bytes of data). It works in-paralle on large clusters which could have 1000 of computers (Nodes) on the clusters. It also process data very reliably and fault-tolerant manner. See the below image how does it looks.